Sa Gitna ng Bagyo is NOT an official weather bureau. The site is not endorsed, nor sponsored, by any professional instution. Forecasts posted in this site are for additional information only and is designed to simplify and summarize the predictions of numerous official weather bureaus. For more official information regarding tropical storms, please refer to your local weather station. Sa Gitna ng Bagyo uses different weather websites for its forecasts. 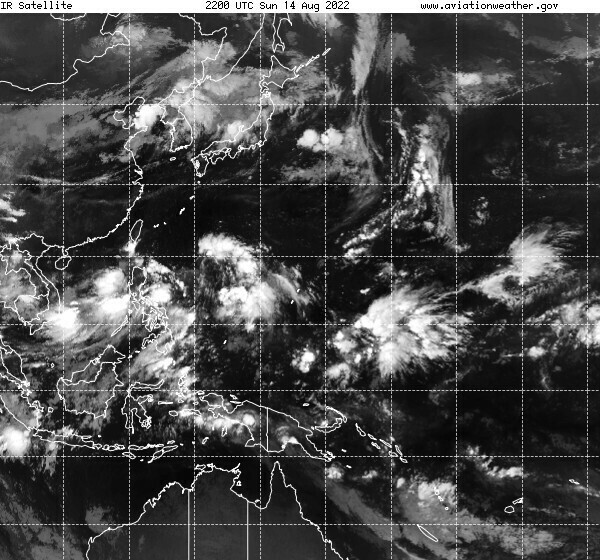 JTWC (Joint Typhoon Warning Center) of the United States Naval Observatory is used for forecast discussions, satellite reports, and forecast maps. We also use JMA (Japan Meteorological Agency) for the same purpose as the JTWC. Another weather bureau that we rely upon is the PAGASA (Philippine Atmospheric Geopphysical and Astronomical Services Administration) for weather warnings intended for the Philippine Area of Responsibility. Numerical model guidance is taken from the Department of Meteorology of Penn State University. Weather models frequently used are the European Center for Medium-Range Weather Forecasts (ECMWF), NOGAPS (Navy Operational Global Atmospheric Prediction System), GFS (Global Forecast System), CMC Global Environmental Multiscale (GEM) model, and the UKMET (United Kingdom Meteorological Forecast Model). Typhoon2000.com is another website similar to this site. It is also a source for additional information and localized weather forecasts for the Philippines. However, it is NOT an official weather center either. We have to note that the maps that we use are taken from Typhoon2000 (unless mentioned otherwise); we use these maps to create our own track forecasts. This does not mean that Sa Gitna ng Bagyo is affiliated, in any way, with typhoon2000.com.